After discussing tatoos as medium, I asked my tattooist if tattoos are collaborative. I wondered because in many ways, my skin just seems like his canvas. So, I was surprised when he unequivocally said, “Hell yeah it’s a collaboration.” As we talked, he used a ship metaphor to describe the process; the client has the impulse that puts the ship in the water and the tattoo artist has the talent and wherewithal to pilot it. He said that a bad tattoo experience occurs when one side of the equation is over-balanced. If the client is too controlling or the artist is too obsessed with their vision – the collaboration doesn’t go well. And, most importantly, the work may suffer. Wilma and Betty get work done! I bring this up because I’ve been having a similar conversation with my friend Wilma, who I’ve collaborated with in the past. She described another colleague who reached out to collaborate on a project for which Wilma and I already drafted an abstract. The colleague sent Wilma an abstract and asked her to “look for ways to make it more digital rhetoric friendly.” In other words, rather than coming to Wilma with a potential project and discussing how they could work together, the colleague just wanted Wilma to add to her pre-existing project. 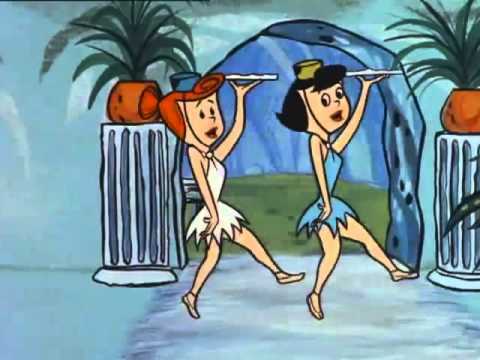 Wilma was an add-on, an accessory – not a true collaborator. Me: Hey Wilma, I have this paper sitting around about Jane Addams. I was thinking about responding to this CFP with it, but I’m not sure where it would go from there. Wilma: Ohhhh, what’s your paper about. Maybe I have something that will complement it. And so on…. Our project came together because I asked Wilma to draw on her own expertise to to build on my project – not sign off on it. I used my own strengths and Wilma used hers. This is why we work well together. In other words, collaboration is a lot like a dance. You may occasionally have times in which you walk solo into the spotlight, but most of the dance is about working with your partner(s) to make something amazing. When I think about how this relates to writing, it becomes clear that collaborative writing must find that balance between working alone and working together. My friend Wilma and I want to be the next Ede and Lunsford or Hawisher and Selfe. We work well together because we recognize that one of us may be busy and the other needs to step it up for a while. Or, that changes to one another’s prose isn’t personal – it’s about the product. Our process of collaboration serves the product.